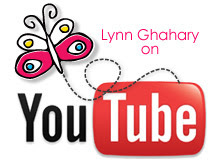 Lynn Ghahary :: Pieces of Me ...: GCD Studios and Grafix Blog Party! For the month of September GCD Studios has paired up with Grafix. 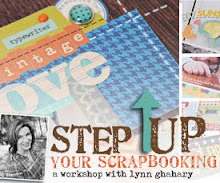 Grafix offers tons of great "do it yourself" art materials perfect for all sorts of paper crafting projects. 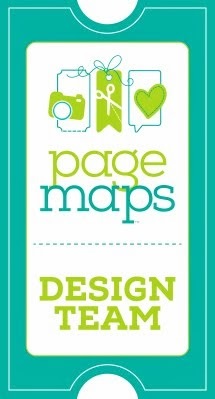 All week long you will see lots of projects from the GCD Studios Design Team using various Grafix products. Then at the end of the week be sure to visit the GCD Studios blog where you will have a chance to win $100 worth of GCD Studios and Grafix goodies! 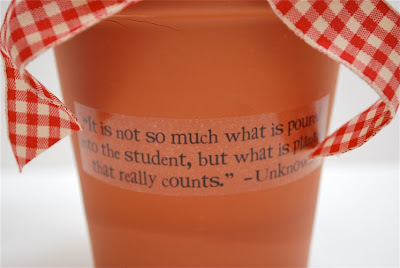 For my first project I created an altered flower pot perfect as a thank you gift for a teacher. I used Grafix Create Your Own Rub-Onz to add my quote to the actual flower pot. The stems of the flowers are actually pencils wrapped with grosgrain ribbon and my flowers are cut with my Cricut Expression and use papers from GCD's Schooled Collection. 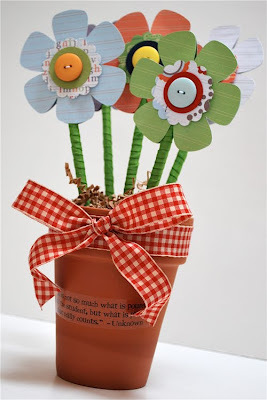 Add a few buttons as flower centers and some ribbon and this sweet gift is complete. I'll be back on Thursday to share the rest of the projects I created so be sure to check back with me then. Thanks for stopping by! This is so cute! I just might have to make this for my sons teacher. Beautiful project! It is perfect for a teacher! Beautiful Project!!! !Great idea to make your rub-on and to put it on the pot. This is so cute love it!!! Love the flower idea. Very creative. Thanks for taking the time to share it with us.